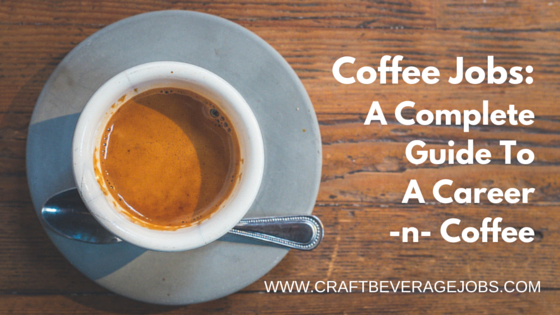 Coffee has experienced a true renaissance, sharing the spotlight with wine and craft beer as an artisan beverage. Long gone are the days of tin cans and instant coffee driving retail sales. Today’s coffee lover enjoys a more culinary approach with an interest in the coffee’s origin, it’s roasting, and brewing methods. This culinary approach to coffee is often referred to as coffee’s third wave movement. With over 1.3 billion cups of coffee consumed worldwide every day, coffee has become BIG business. According to Allegra Strategies research, ready to drink coffee sales account for $60Billion to $80Billion annually for the global economy. Today, working in the specialty coffee industry is no longer viewed as a part-time or in-between job, but a viable career opportunity. While corporate coffee chains make up the bulk of the coffee business, more independent roasting companies and coffee shops are opening every day. 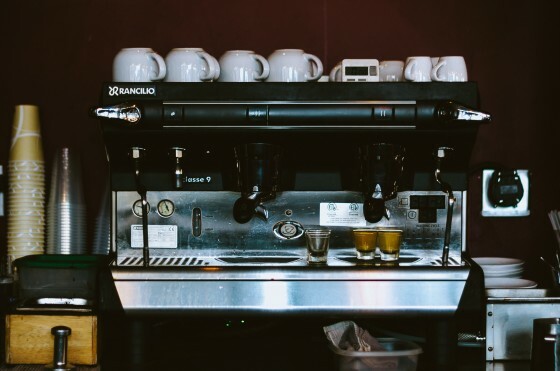 When you add coffee equipment, vending suppliers, wholesale coffee suppliers, and retailers to that list, there are a number of career opportunities to choose from. If you’re not afraid of hard work and are willing to be taught, you can turn your passion for coffee into a successful career. In this guide, we have endeavored to highlight the variety of jobs within the coffee industry and outline the general job description of each. In addition, we have provided helpful resources you can use to get things started. This guide focuses on career opportunities related directly to specialty coffee businesses and the production of coffee. The size and production level of any coffee business will determine how many available opportunities there are. 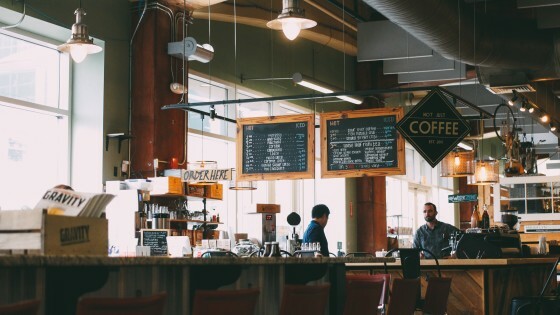 Many independent coffee businesses may be completely owner-operated or have just a few key positions that they hire for. The Production Assistant (sometimes listed as Roasting Assistant) is a position that works under and reports directly to the Production Manager, who may also be the Head Roaster. Production Assistant is a great way to learn every aspect of the coffee industry. You will have responsibilities in the full production process, from inception to shipping. There are multiple levels for production associate, from entry-level to more advanced positions. The more advanced positions may require 2 – 3 years of production experience in a similar field. Larger coffee roasting companies will have a Production Manager, sometimes referred to as the Plant Manager or Roasting & Packaging Coordinator. The Production Manager must be experienced in managing the workflow in a manufacturing environment. There is a high level of responsibility in maintaining communications between the coffee roaster, packaging operators, shipping and customer service. For a Production Manager position, employers are looking for individuals with several years of management and operating experience. A background in food processing experience and GMP knowledge is also preferred. Are you right brain dominant? If so, coffee roasting may be a great career choice for you. For many coffee roasters, a career in roasting is more than just a love for coffee. It is the science of roasting that appeals to their creative and intuitive minds. The challenge of evaluating different coffees in the roasting and cupping process is what gets them up every morning. A coffee roaster is an expert on all aspects of coffee production. The roasting of the coffee is just one part of this position’s responsibility. From assisting the buyer in the acquisition of green coffee to the blending and packaging, a coffee roaster will manage quality control through each step of the process. As one moves up in their coffee roasting career, they may graduate to Head Roaster and eventually earn Master Roaster status. Coffee roasting programs are a great investment if you are serious about making coffee roasting a career. Roasting coffee is as true craft and science. Quality programs will help you learn from roasting experts the sensory skills needed to consistently produce an excellent product. These programs are also designed to educate their students in much more than just roasting coffee. Look for a program that also trains in the technical aspects of the roasting equipment. Machine operation, safety protocols, and basic machine maintenance go a long way in building a strong skill set. When investigating which program is right for you, don’t hesitate to ask about training for inventory control and production management. These skills will give you a well-rounded resume that any coffee roasting company would love to see. Boot Coffee: Boot Coffee offers a variety of training courses priced under $2,500.00. SCAA Roaster Pathway Program: The Specialty Coffee Association of America’s (SCAA) educational website offers a number of roasting classes at multiple levels of experience. The SCAA Roaster Pathway program is endorsed by the Roasters Guild. IBCA Roasting Classes: The International Barista & Coffee Academy also offers roasting classes from beginner to professional levels. Most coffee roasters get their start as an apprentice to a Master Roaster. An online search for “coffee roaster job training” is a great place to begin when looking for opportunities to work under a professional roaster. On-the-job training in coffee production goes a long way when it comes to making coffee roasting a career choice. Many coffee roasting companies will provide training programs where you can gain experience with the roasting process and equipment. Typically, trainees will cut their teeth on test batches, which allow them to learn how to monitor temperature, roasting time, color and roast levels for the coffee beans. Experience with a coffee roasting machine including removing moisture from coffee beans, weighing batches of coffee beans in a scale hopper and feeding the beans into the roasting oven. Maintaining proper temperature by observing the roaster thermometer and adjusting controls properly. Ability to estimate roasting time by observing the color of roasting coffee beans in the roasting oven. Properly discharges the roasted beans to the cooling tray. Records roasting amounts, types, and blends of roasted coffee beans. Mid-size to larger coffee roasting businesses will have an experienced Lead or Head Roaster. The lead roasters’ sphere of responsibility starts with the cupping table and follows each step of the production process. Responsible to maintain inventory levels for the coffee business, which could include online, retail and wholesale. Manage the training of staff on production operations, including roasting, stamping, head sealing, weighing and shipping. Tracking and maintaining inventory levels for both green and roasted coffee. Serve as the in-house coffee expert and resource for customer coffee questions. Responsible for roasting samples and hosting cuppings related to the green coffee buying program. Will work with the Operations Team in roasting experiments, improving inventory accuracy and forecasting, along with consistency in roasting profiles. For many coffee roasting businesses, the owner-operator is also the Head/Lead Roaster and will hire an Assistant Roaster to work along with them in the production process. 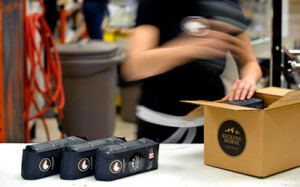 Often the Assistant Roaster will be responsible for packaging, labeling, and shipping. Salaries for jobs in production can vary greatly. Average salaries for Coffee Roasters (per payscale.com) are $35,000 annually. A career where you get paid to drink coffee all day? Sign me up! Well, there is much more to it than that. A professional coffee taster is able to rate and describe the coffee they are tasting through a method that enables them to compare a variety of coffee samples side by side. For an example of a professional cupping process, see this list of formal cupping instructions from CoffeeCuppers.com. Coffee tasters perform a very important role within the specialty coffee industry. Their services fill the gap between the coffee growers expectations and the buyers demands. The ratings and descriptions from an objective coffee taster allow both parties to communicate and work together in the industry. An average salary for a Coffee Taster / Cupper (via simplyhired) is $30,000 annually. To become a professional cupper, you need to complete the Q Grader Program. The Q Grader Program was designed by the Coffee Quality Institute (CQI) to create a “skilled and credible body of specialty” coffee cuppers. The certification gives you the credibility as a coffee taster to evaluate Arabica coffees. The course is a 6 day series of exercises and exams with multiple tests that must be passed before qualifying for certification. Q Grader certification is not cheap, so before committing to the investment take some time to practice your tasting skills at home. Better yet, find a coffee tasting and cupping event near you to gain some experience. The Mechanical Technician is responsible for all roasting, packaging, brewing, and dispensing equipment. From in-house to in-field calls, the life of a mechanical technician is fast-paced. If you’re mechanically inclined and like a work environment where every day is different, then a mechanical technician may be the perfect fit. Good communication skills are also necessary. A mechanical tech will deal directly with the customer when it comes to equipment installations, emergency service, maintenance, and equipment exchanges. Larger coffee equipment companies will have a Roaster Technician position. There may be multiple levels available, from entry-level I (Apprenticeship) to more advanced supervisory positions. The Roaster Tech is involved in the assembly and maintenance of coffee roasting machines. This requires a knowledge of electro-mechanical assembly and gas system assembly and testing. Document creation for the bill of materials (BOM), work instructions, etc. The job of the green coffee buyer is to determine what coffees a roasting company will purchase. Not only is a knowledge of coffee required but managing the relationships and transactions between the grower and the roaster is vital. Many people are attracted to the idea of international travel and visiting coffee producers in exotic places. However, it’s not always exciting. There will be a great deal of time spent in the home office sampling coffees, handling paperwork and coordinating the sale. To put it into perspective, consider that a coffee buyer for Starbucks will spend about 18 weeks out of the year visiting coffee growers and suppliers. The amount of time spent in the field (no pun intended), depends on the amount of coffee the roaster needs to maintain production. There are not a lot of education programs available for becoming a coffee buyer. Most buyers have started in the coffee industry as baristas in a local coffee shop, learning as much as they could about the industry. However, I did find an online Coffee Buyer course (20 hours) through the SCAA: Coffee Buyer Pathway, which describes itself as, The Coffee Buyer Pathway takes students through a series of online courses built to aid in navigating the complexities of the supply chain. This Pathway presents a unique opportunity to learn from leading importers, growing both a career and a professional network as you embark on a life in coffee. Start Here: Coffee Buyer Pathway Course Requirements Income potential for Green Coffee Buyers can be substantial with the range listed by insidejobs.com being $31,000 to over $100,000 annually. Coffee businesses involved in product distribution and corporate sales will have a sales team responsible for representing the company in multiple territories. These Coffee Sales Representatives (sometimes called District Sales Representatives) are the primary contact with both current and potential customers. Larger businesses may offer a Sales/District Manager position. A Sales Manager will be responsible for multiple territories (sometimes called districts), with a number sales representatives to manage. While product sales and gaining new customers will be a priority, the sales representative is also responsible in coordinating product deliveries and monitoring compliance with customer contracts. A knowledge of the current coffee market is a must. Sales Representatives also take an advisory role to keep customers informed of current trends in the industry. The specialty coffee industry is experiencing tremendous growth, especially within the independent sector. 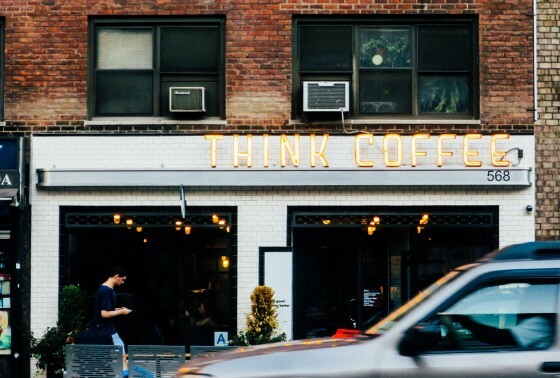 With each type of coffee business, there is the need for marketing personnel to develop strategies for product campaigns, retail services, loyalty programs, on-premise advertising, promotional advertising, and a digital media. The size of the coffee business will determine the number of marketing positions that are available. For smaller businesses, the owner/operator usually wears the “marketing” hat. Mid-level to larger businesses will have a dedicated marketing position responsible for brand development. No matter the size, with every new coffee shop and roaster that opens for business, it increases the competition for consumer dollars. More than ever, brands need to create an identity to separate themselves from the rest of the pack. Coffee businesses, especially coffee shops and bars, provide a uniquely social experience. Word-of-mouth advertising and personal testimony from customers loyal to a brand play an important in any marketing strategy. A good marketing manager will learn to take advantage of these opportunities. The service industry has a responsibility of guaranteeing that the customers “first impression” of a business is a positive one. For a barista, this responsibility is two-fold. Not only are you engaging with the customer through conversation, but you’re preparing a very complex beverage for them to enjoy. Most café’s and coffee shops will hire a barista with little or no experience and commit to on-the-job training. As such, salaries start on the low end – close or at minimum wage. Most professional barista’s started this way, until they decided that it was something they wanted to make into a career. If a career as a barista is what you are interested in, there are a number of training and certification programs to choose from. If you want to know more about the qualifications for a barista, see our article What Are Employees Looking For In A Coffee Barista. The role of a coffee store/shop manager begins with the ability to multitask. Not only are you responsible for growing sales but you need to inspire your staff to create positive experiences for every customer. Most coffee shops or coffee bars are looking for candidates with prior restaurant or retail management experience. This would include experience with sales, P&L, recruiting, training and basic computer skills. Salaries vary by market and by store volume. If you’re in an entry-level position, ask if there is an in-house manager training course available. The company may also provide compensation for online training or management curriculum through your local community college programs. The Assistant Store Manager handles much of the daily managerial tasks, while supporting the Store Manager. You will be the ‘go to’ person for the store’s day-to-day operations and hold the store managers responsibility when they are away. If applying with a corporate store, you may be required to have a high school diploma or its equivalent. Having at least 1 year of supervisory experience is a plus. Supporting the Store Manager in recruiting, hiring, and training staff members. This includes new hire training, orientation, certification, and development. Assisting the Store Manager in increasing store profits, sales and controlling operating expenses. This includes helping with banking and accounting responsibilities. Although businesses may not require a college degree for general administration positions, having some formal education will be a great advantage when applying. Check business schools, community colleges, and technical schools in your area. They will provide a number of 1 to 2 year courses, certificates, and associate degrees in this field. Craft Beverage Jobs: Coffee Jobs – Yes, we have coffee jobs! You can Subscribe Here and receive updates on new job postings in your area. It’s free! Sprudge Jobs: Coffee Jobs – An online source for coffee news with a division for jobs in the specialty coffee industry. Craigslist – A great place for finding entry level coffee positions. Career Builder: Coffee Jobs – A forum for listing of career opportunities. There are some great books available on the subject of coffee. 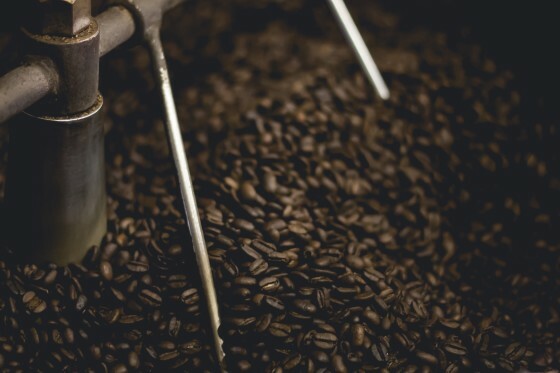 From the history of coffee to the technicalities of the craft, these are helpful resources for any job seeker to learn more about the specialty coffee industry. 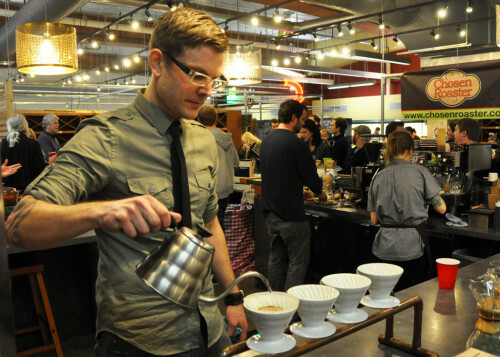 The coffee industry is a great place to have a career. No matter what part of the industry you choose to work in, you will find some of the most passionate, creative, and dedicated individuals. Most employers require a cover letter, so make sure yours is a good one. Let the employer see your passion and connection with coffee coming through. If you need some help, Download our free guide to writing an irresistible cover letter (it helps!). Get out and network! At CBJ we see the value of networking in the job market, everyday. Don’t hesitate to ask for introduction, attend coffee events, and engage online with your favorite coffee business. When you’re ready to apply for a job, be sure to remind them that they already know you. It can make all the difference. Good Luck! We hope that anyone who wants to work in the coffee industry will find their dream job. Be sure to keep us posted on your progress.